Stephen Hawking at Kennedy Space Center Shuttle Landing Facility. Credit: Wikimedia Commons. The eminent physicist Stephen Hawking, who past away last year, was one of the world’s foremost authorities on black holes. Now, colleagues at the universities of Harvard and Cambridge have published the very last paper that lists Hawking as an author, which builds upon the physicist’s lifelong work on these enigmatic cosmic objects. The findings suggest that black holes store some information about the matter they devour in ‘soft hairs’ around the event horizon. A black hole is defined as a region of spacetime whose extremely strong gravity prevents anything, including light, from escaping. This essentially means that we can’t see a black hole directly. However, scientists are confident that they exist, judging from their theoretical calculations and observations of X-rays emitted by swirling disks of gas around the black hole. The motions of nearby stars can also infer the presence of a black hole. In fact, most galaxies — the Milky Way included — are thought to be held together by the gravity of supermassive black holes with masses millions of times that of the sun, which lie at the galactic center. But if everything gets sucked into a black hole, never to return, what happens to the information that these objects used to hold? According to the laws of quantum mechanics, matter cannot simply disappear without leaving behind information of its previous state. So, on one hand, we have physics that says information is never truly lost, nor is it truly copied, while on the other hand, we know that an object that gets too close, and crosses the black hole’s event horizon, it can never escape. This is known as the black hole information paradox — and Stephen Hawking had been trying to crack it for decades. In 1974, Hawking argued in a now-famous study that besides mass and spin, black holes can be characterized by a unique temperature and that they don’t just devour matter, but emit radiation. So it turned out that black holes aren’t entirely ‘black’ — they emit ‘Hawking radiation’, consisting of photons, neutrinos, and to a lesser extent all sorts of massive particles. This has never been observed, mind you, because black holes are obstructed by swirling disks of hot gas that obstruct our view. But, if black holes indeed have a temperature, then it follows that they must also have entropy — a measure of a physical system’s internal disorder. Previously, physicists who characterized black holes only by their mass and spin thought that the mysterious objects preserved no trace of the matter they had absorbed. Like bald heads, black holes have “no hairs”, the theory goes. Hawking himself was also of the opinion that black holes don’t preserve information until very recently. In 2016, he co-authored a paper that suggested that black holes have ‘soft hairs’ of photons that surround the objects and which theoretically preserve information. In Hawking’s latest and last paper, published posthumously in the preprint server arXiv, Cambridge colleague Malcolm Perry and Harvard University’s Andrew Strominger calculated the entropy of a black hole that has a certain kind of soft hair. Their results agree with Hawking’s original calculation of black-hole entropy. By no means does this mean that the black hole information paradox has been solved, but the new study provides considerable insight into the issue. 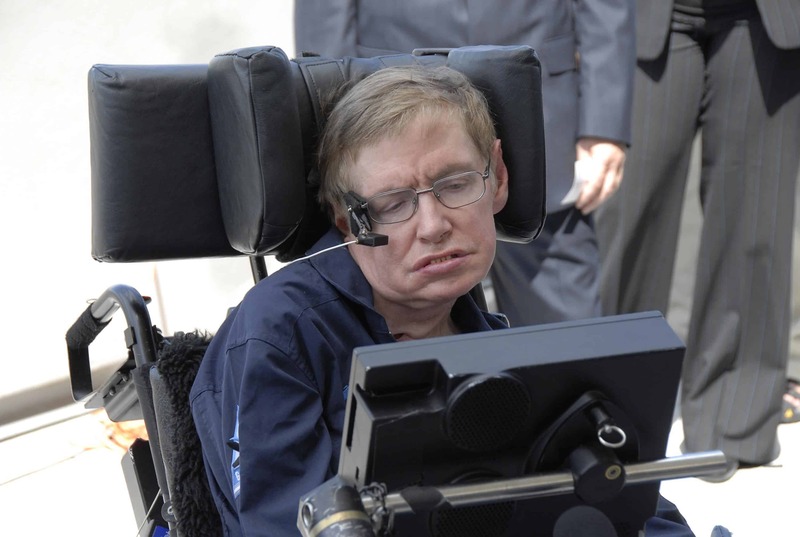 This year, another one of Hawking’s papers has been posthumously published, authored in collaboration with Thomas Hertog, a Belgian physicist at the Catholic University of Leuven. The study proposed that alternate universes do not employ radically different laws of physics and may not actually vary that much from one another. By reducing the multiverse down to a more manageable set of universes which all resemble each other, scientists now have a better chance of arriving at a fully predictive framework of cosmology. Writing for The Guardian, Perry described the most recently published work as “perhaps the last paper that Stephen was involved in,” but there may be more out there.